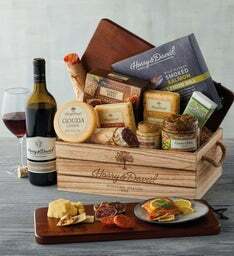 crafted right here in Southern Oregon. 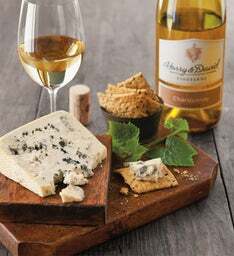 Harry & David™ vineyards produce award-winning wine varietals that make excellent wine gifts, contributing to the booming Southern Oregon viticulture that’s been developing over the last decade. 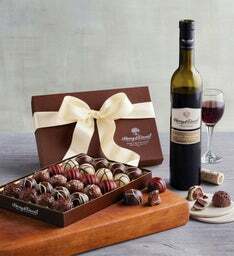 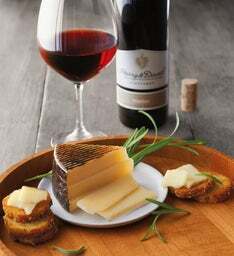 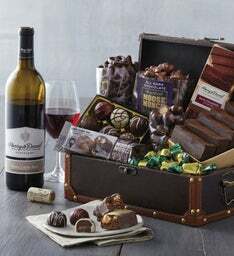 We sell a variety of wine gifts suitable for any occasion, from wine gift sets and wine baskets to expert pairings of wine and chocolate or wine and cheese. 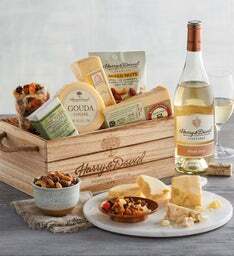 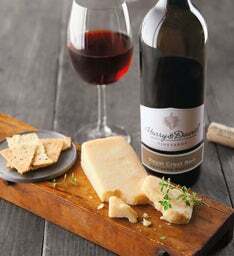 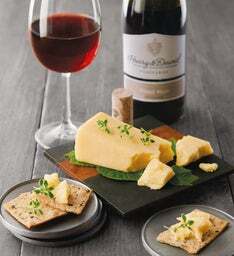 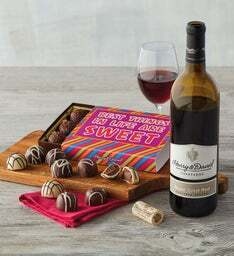 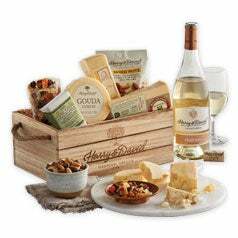 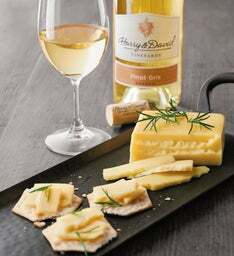 Harry & David® food and wine gifts are perfect for celebrations and parties. 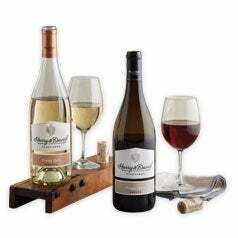 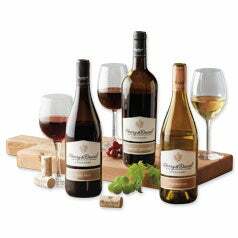 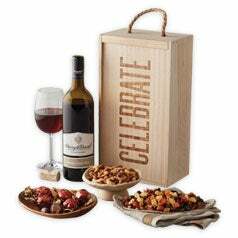 Our wine gift sets are packed with gourmet goodies that pair perfectly with our wine varietals. 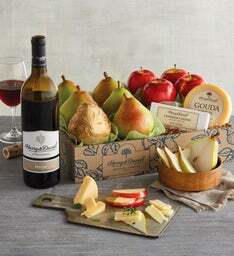 We invite you to explore our website and discover ways to buy wine gifts online. 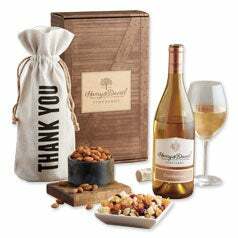 Swift delivery and Harry & David quality combine to get your order delivered on time, whether you’re shopping for the holidays or hosting guests this season. 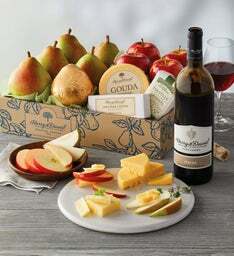 Gourmet treats, such as premium pears served alongside crackers and artisan cheese, become that much richer when accompanied by fine wines. 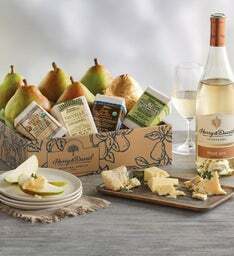 Choose a wine gift tote or wine gift basket that pairs your favorite varietal with the flavors of our classic Royal Riviera® Pears, chocolates, charcuterie, or artisanal cheeses for a classy appetizer or after-dinner treat. 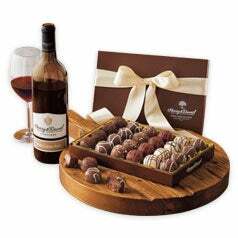 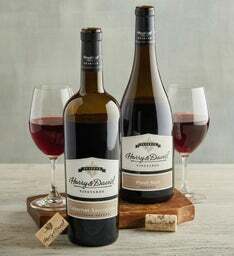 Whether you choose white or rich red wines, we offer wine gifts that beautifully suit any occasion. 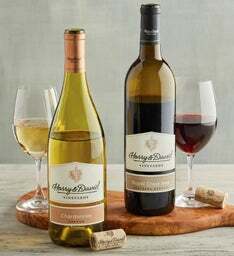 Include a bottle of Harry & David™ wine in your order today.